Sealant and adhesive remover removes sealing and hardened glue residues fast and easy and also coats and colours from perpendicular surfaces. Removes all kinds of seal remains on cylinder heads,oil pans, water pumps and exhaust pipes. It reliably erases carbon residues, colours, paint, oil, resin, fat and tar. Works as paint stripper during wood restorations. 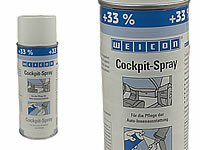 Cockpit-Spray is a water repellant care product for all plastic and rubber parts. The permanent and invisible protection film prevents soiling and provides a dust repellant silky lustre which is easy to maintain. It renews blunt and weathered plastics. 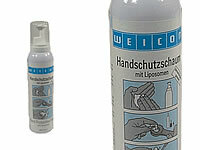 Suitable for dashboards, interior linings, synthetic leather, leather, wood, chrom and much more. Prevents door, windows and boots from freezing up. To find leaks of pressure lines in a fast, comfortable and reliable way. 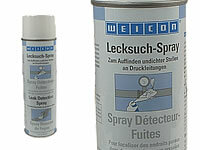 Leak detection spray does not burn, non-corrosive, kind to the skin and DIN-DVGW-tested. It does not form dangerous combinations with carbon dioxide, propane, butane, acetylene oxygen, town- and natural gas. Anywhere where you work with compressed air, natural gas or liquid gas or where leaks can happen to armatures, couplings and connections. 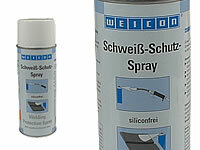 Welding protection spray cleans and keeps weldings nozzles clean. 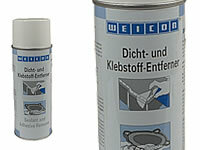 Concurrently it protect the workpiece against weld splashes without affecting the weld seam. Post washing is not necessary. 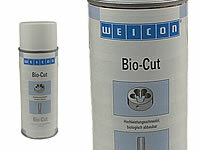 Bio-Cut has a very high lubrication effect which makes higher cutting speeds possible, longer endurance which improves the output of your devices. It is free of mineral oil and entirely bio-degradeable. Hand protective foam forms a fat free, invisible protective film which prevents dirt of all kinds from entering the skin and pores. Furthermore it protects from pollutants and irritants derived from aggresive chemical substances, it is waterproof and dermatologically tested. Adding liposomes improved the skin tolerance significantly. Metal, chemical and foods industry.